The first nausea, the first dilemma in life that leaves you both scared and excited at the same time, those first tears you get in your eyes that’s not because of pain, but something eternally devine! Those sleepless, restless nights which have loads of promises of happiness attached to it. Those moments of uncomfortable and weird things happening to yourself but you love them all the same. Those times when someone’s kick never hurts you, and finally that time when the most severe pains in the hospital doesn’t make you weak, rather evolve you as a stronger person, a better version of yourself, a mother! Yes, I am talking about the epic journey of pregnancy commencing with those nauseas and ending with a bundle of joy wrapped in your arms. Remember, the feeling when you smell the sweet scent of the little one and felt your fragrance get reflected in another human being? Do you recollect the first feeling of considering yourself more than a woman, loving yourself as a mother of somebody? The fear that arises simultaneously with this unique excitement is natural. You suddenly get a small being in your hand who’s totally dependent upon you even for their minute needs. That fear you feel first time in your life very severely. But, that’s where your strength evolves too. You decide to care for the little one more than yourself and suddenly you are engrossed in their needs more than of your own. That’s motherhood! The limitless caring and love for your baby and the feeling to make the world stoop to your child’s happiness and needs. While you are busy recovering from your post pregnancy changes of your body, you also are busy in meeting the unstoppable demands of this innocent little fellow. The support you get in this time of your life is precious and totally unforgettable throughout your life. Not anyone except the most trusted people of your life are permitted to help you in this journey of motherhood. That’s when you even choose the baby products you use for the baby with so much care and the brand that you trust the most. It’s not a surprise that the products you use for the baby are those which are delicate on their skin, just as the babies are! Care for their newly soft skin, just as you care for them. Feels on their body just as a mother’s touch, a mother’s Sparsh! That’s what I trust the most when it comes to my little angel, Mother Sparsh. 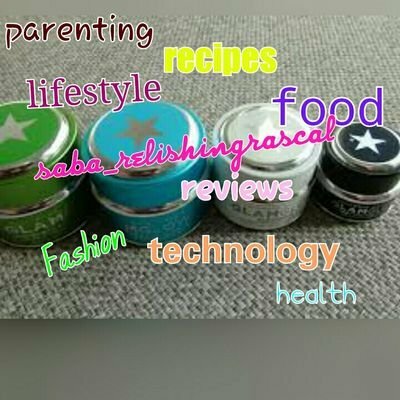 A baby care products brand that’s renown for being gentle on my baby’s skin and carry no harmful chemicals that could adverse effect on her skin. The first ever watery wipes from Mother’s Sparsh gently cleanses her delicate skin while leaving a soft fragrance thus guaranteeing hundred perfect safe and hygienic for my little one. Those wipes which are paraben and alcohol free, hypoallergenic, PH balanced and hence prevents even the remotest chances of diaper rashes. That leaves me so relieved when it comes to skin care and diaper cleaning process of my baby.Its definitely the touch that I trust! The first touch that touches my baby the same way I do, with care, with gentleness! Previous Post 5 Reasons why you should buy your next plot at GOA! Next Post Let’s TUBBR to trend!